When first using Just Checking to support the care of individuals with learning disabilities, it can be difficult to know where to start, especially when there are a number of people in the residence. When I’ve been faced with this situation, I find the best approach is to begin by understanding each person’s living routine. An important part of this comes from looking at night-time activity. During the night, we know that most people are expected to spend time in specific areas of a property i.e. their bedrooms or areas where waking night staff occupy. This allows us to isolate the movements of each individual, providing direct insight into their activity. Getting a clear picture of a person’s night-time support needs has always been a difficult task for those of us working within health and social care services. We understand how important it is to respect people’s privacy, making observing a person’s activity at all times a challenge. On top of this, checking on an individual during the night can be detrimental if it disturbs their night-time routine. This is where I’ve found Just Checking to be an essential tool. 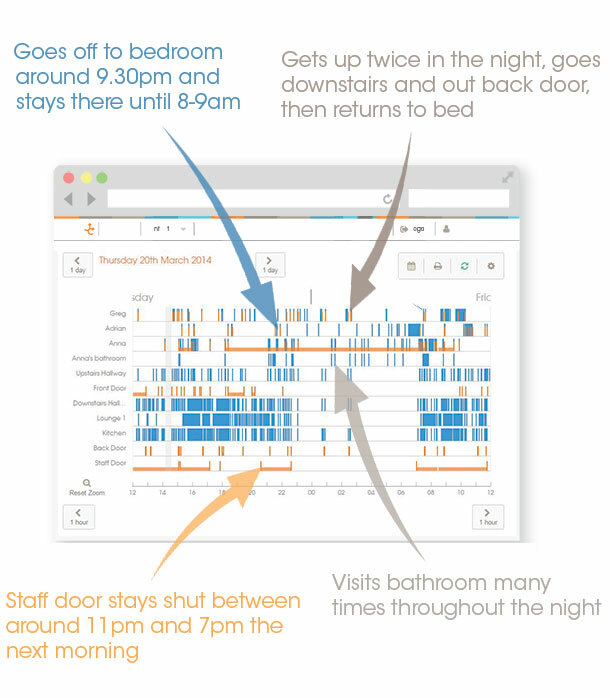 In shared homes, the multi-person system can be used to monitor each person’s bedroom movement and door usage, allowing us insight into their activity without interrupting their sleep or invading their privacy. It also allows us to view the activity in communal areas and the interaction of supporting care professionals. Using this information, we can determine if individuals have had adequate rest, or if they’ve had a disturbed night. This can then be used to help explain certain behaviours during the day (e.g restlessness, tiredness or disruptiveness). It can also outline any underlying difficulties with the way care is delivered, or identify whether residents are disturbing one another. 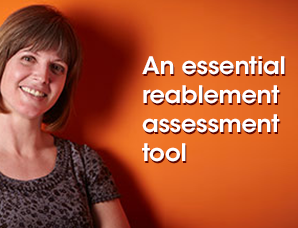 This allows us to make positive changes in the way support is provided. Is there evidence that the person is active for longer than you would expect to see (e.g. more than someone turning over in bed). Is there a pattern to this activity? Does it happen at a certain time of night? Does this activity tell us if the person might have an underlying health need that has gone undetected e.g. UTI or anxiety? Do they have a suitable bedtime routine or are they going to bed too early or late and becoming unsettled later in the night or early in the morning? 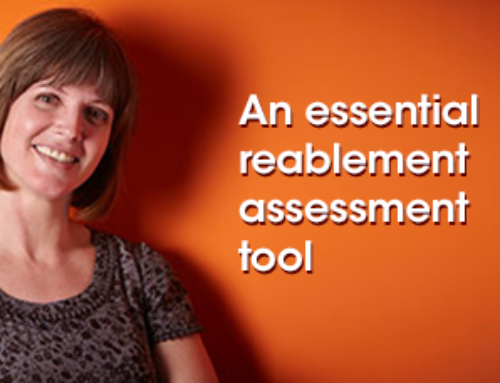 If staff conduct visual checks on an individual during the night, does this cause them to become unsettled? Is there any activity in other parts of the property which could contribute to a person being unsettled. Identify the right level of support; it’s not about adding more support or taking it away, it’s about giving the individuals space and independence at times when they need it. 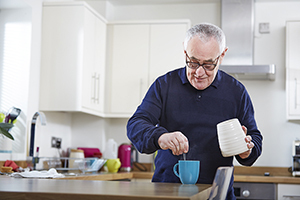 Supported a referral to assistive technology services which use alert devices to call staff to assist a person when needed — rather than routine checks which were not necessary. Provided evidence to continue with sleeping night staff and/or waking night staff support. Provided evidence when waking night staff were inadvertently disturbing individuals in a property (i.e. using the laundry room during the night). Has guided us to make changes to a person’s bedtime routine to promote a better sleep pattern and hygiene. 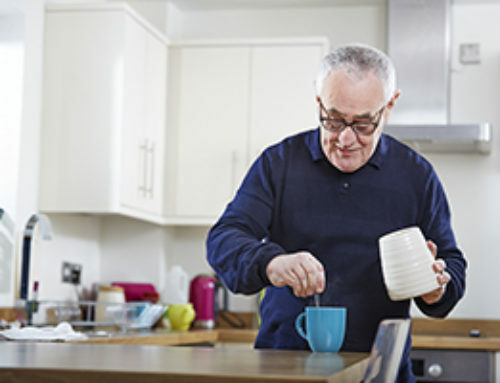 If you would like advice on using home activity monitoring to provide the right level of night-time support to the individuals in your care, contact your local account manager or get in touch with the Just Checking team here.